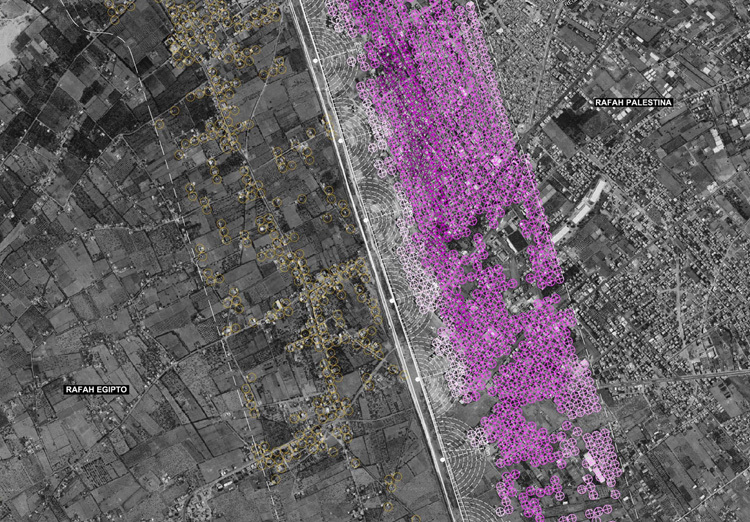 The Gaza tunnels are mainly used by Palestinian militant organizations and gangs for weapon smuggling and bringing cheap goods from Egypt into the Gaza Strip. 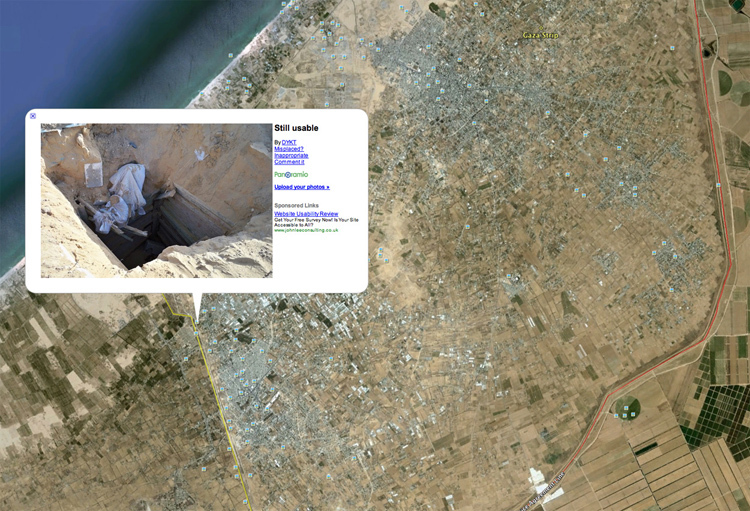 The tunnels connect the Egyptian town of Rafah with the Palestinian refugee camp of Rafah. Among smuggling smuggle illegal arms, the tunnels have also been subsequently used to smuggle people [in and out] and commercial materials like recreational drugs, medicine, food and clothes, cigarettes, alcohol, and vehicle parts into Gaza. 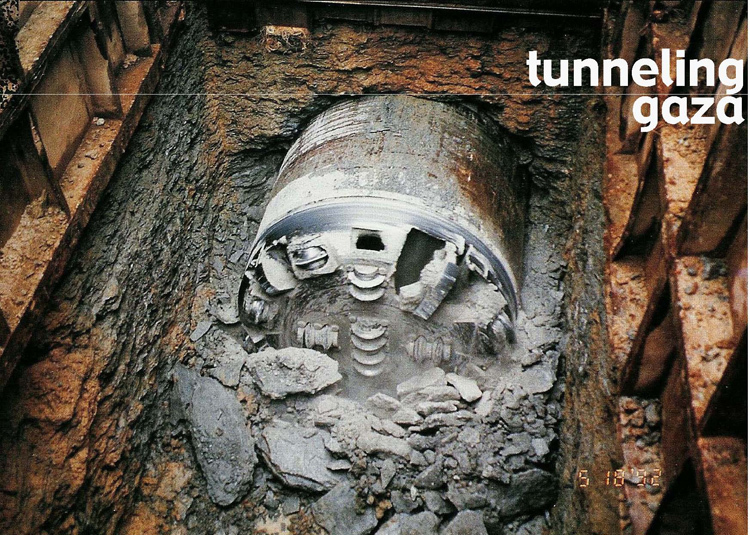 So, it’s not surprising to see that smuggling along these tunnels has become a huge business. The tunnels are run as businesses, mainly by the Abu Samhadana and Abu Rish families, both of Bedouin origin. Smuggling provides tens of thousands of US dollars in profits for each delivery. But we can’t forget that people at the Gaza Strip just need a way to get food and goods for basic survival. 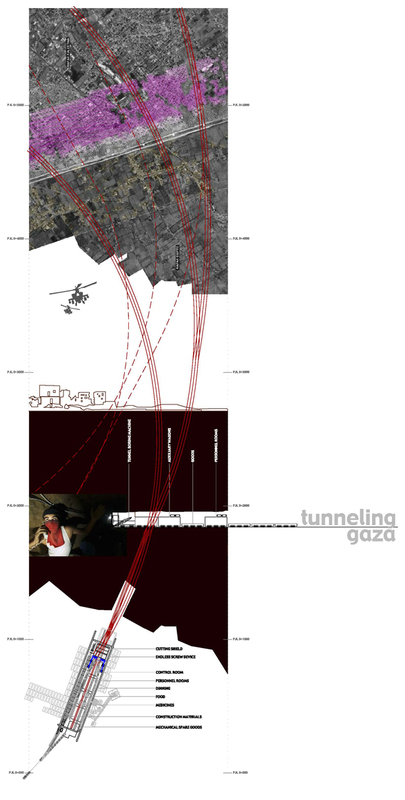 We propose a critical utopia, by means of re-using underground infrastructure construction techniques in a humanitarian way, with the use tunnel-boring machines, to create an underground infrastructure system where people from Gaza can be safe of the siege and, at the same time, can use as an buried village for temporary shelter, dwelling and trade goods.